"Be transported to the enchanting village of Hobbiton"
The Hobbiton Movie Set is just 20 minutes drive from ArtHouse B&B and is the reason many visitors stay in Matamata. Bruce & I visited in July 2016 and were absolutely enchanted with the experience. Tours are around 2 hours and depart every 30 minutes from Shires Rest commencing at 9.30am. Or you can take the bus from Matamata (allow 3 hours). 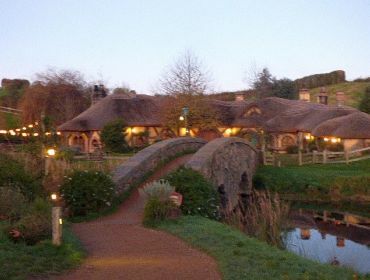 Or you may be interested in particpating in the Evening Banquet Tour which includes the tour and concludes with a banquet feast fit for a Hobbit! The Banquet Tour operates Wednesday & Sunday only (extra tours may be added in summer) - bookings are essential. ""Such an enjoyable experience of B&B. Received warm hospitality from the lovely couple. Room is clean and neat, newly refurbished. 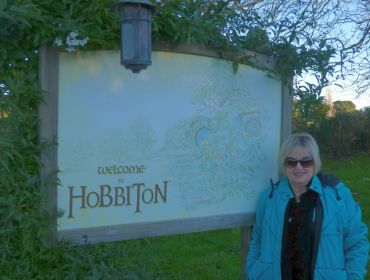 In close proximity to town centre and the Hobbiton Movie Set."" © Copyright 2019. Arthouse Bed & Breakfast.